Chak De! 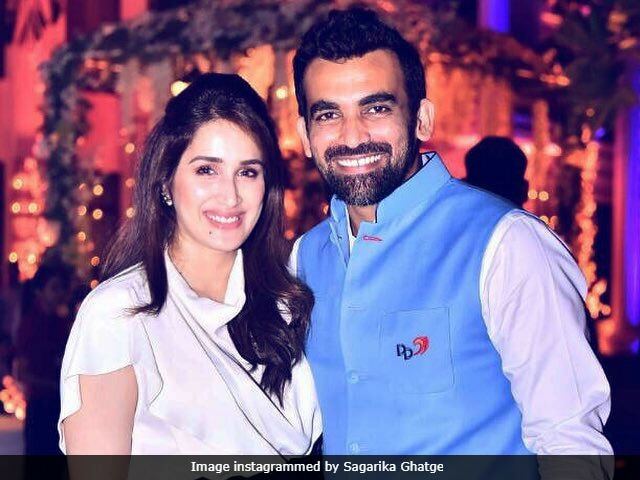 India actress Sagarika Ghatge is all set to get married to cricketer Zaheer Khan in November this year, reports Bombay Times and the preparations for the wedding are in full swing. A source close to the couple also told Bombay Times that Sagarika and Zaheer will have two separate wedding ceremonies and their reception has been scheduled for November 27. "Zaheer and Sagarika are all set to tie the knot in November and their wedding reception will take place on the 27th of the same month. There could be two ceremonies - one each in Mumbai and Pune. Close friends and family have been informed in advance to save the date," the source said. In an interview after their engagement, Sagarika told Times Of India that she had no clue that Zaheer Khan would propose to her. "Zak secretly planned our engagement for days; and I honestly had no clue. I had no idea that he had picked up such a pretty ring for me. I can't describe that moment and it will forever remain as something very special between us. We are really blessed," Sagarika told Times Of India. Sagarika Ghatge debuted in Bollywood in 2007's Chak De! India and was last seen in 2017's Irada.